zajmuje się fotografią przez całe życie, od trzech lat posługuje się także językiem filmowej wypowiedzi. Jest autorem kilku bardzo obszernych, wieloletnich projektów, m.in. Średnia Wieś – o polskiej wsi w Bieszczadach, Chino – dotyczący prostytucji i narkotyków w Barcelonie, zrealizowany głównie na 40-metrowym odcinku ulicy Carrer de Sant Ramon, Oqaatsut – zrealizowany w grenladzkiej wiosce liczącej wówczas 52 mieszkańców oraz prezentowany tu projekt dotyczący konfliktów na Bałkanach. 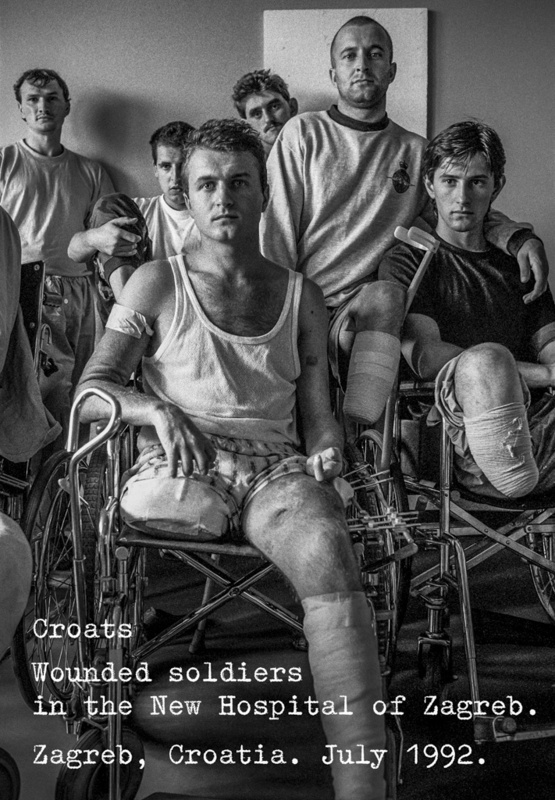 We live at a time when most of the people of Europe have no first-hand experience of war. 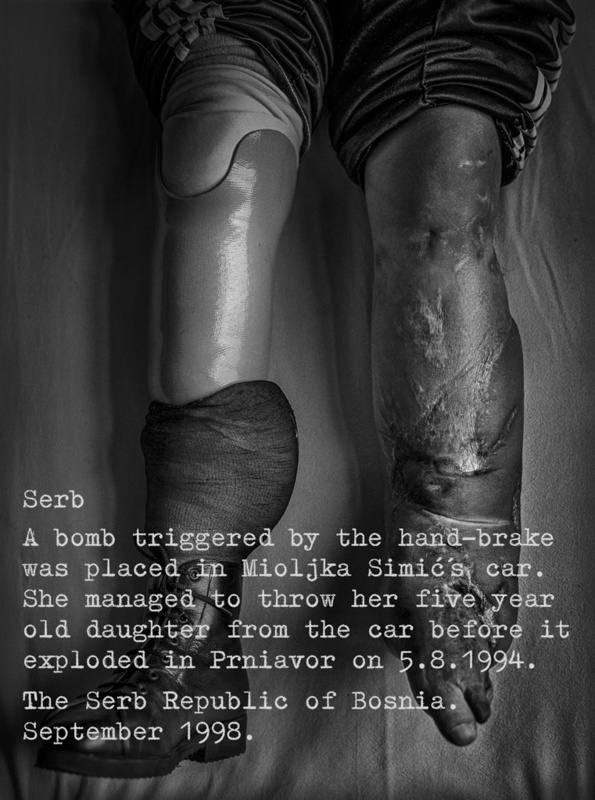 When the Balkans exploded into violence we were confronted with war as something new. Organised hostility is difficult to comprehend. While the events associated with wars are complex in respect to their background they are simple in terms of their violence. In a state of war, society fights against the morals it has itself produced. We should, then, be able to oppose war and simultaneously accept its aggressive nature. The Balkan tragedy of the final decade could have been avoided. The decisions were made by people. 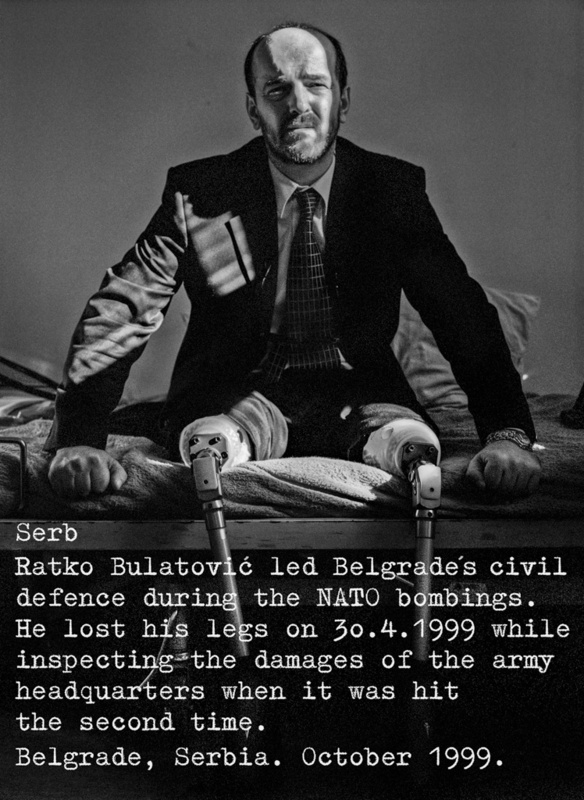 Bad political judgements were made both in the Balkans and in places with influence in the region. The wall between what happened and what did not is thin. One tragedy followed another and snowballed as if no intervention were possible. Ethnic differences gained importance initially as a means to gain or maintain power, but subsequently their significance changed in such a way as to define the entire picture of the conflict. 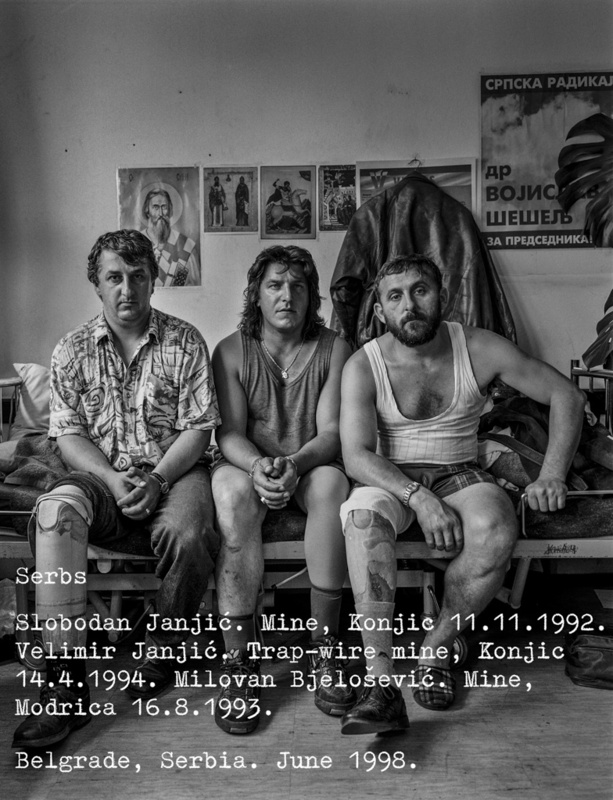 Many see the problems of a shattered Yugoslavia as local issues. 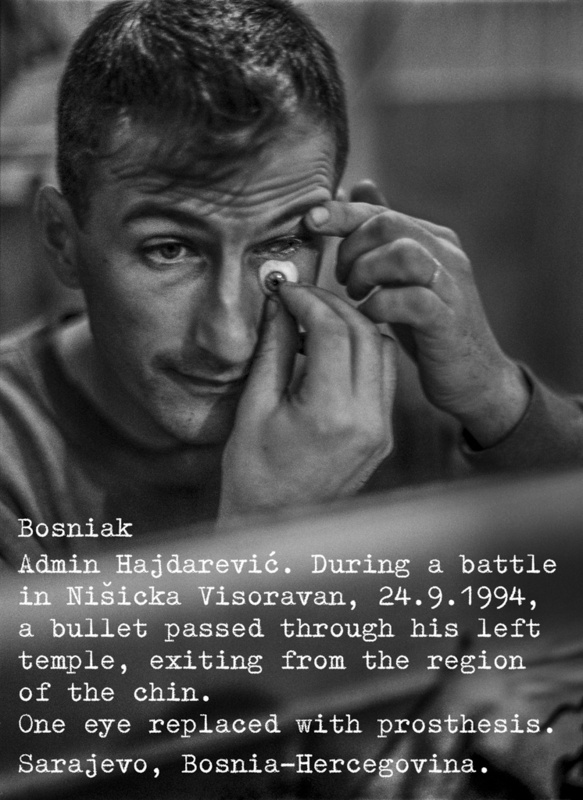 The Balkans are a reflection of their past. They have brought upon themselves the myth according to which every second generation must have its war. 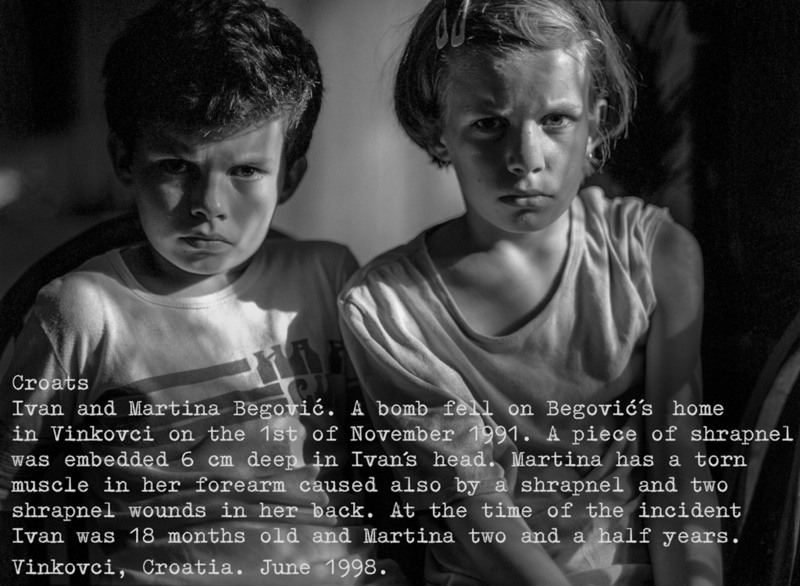 The violence seems distant until it is close at hand as it did in Sarajevo as long as the war was raging in Croatia. 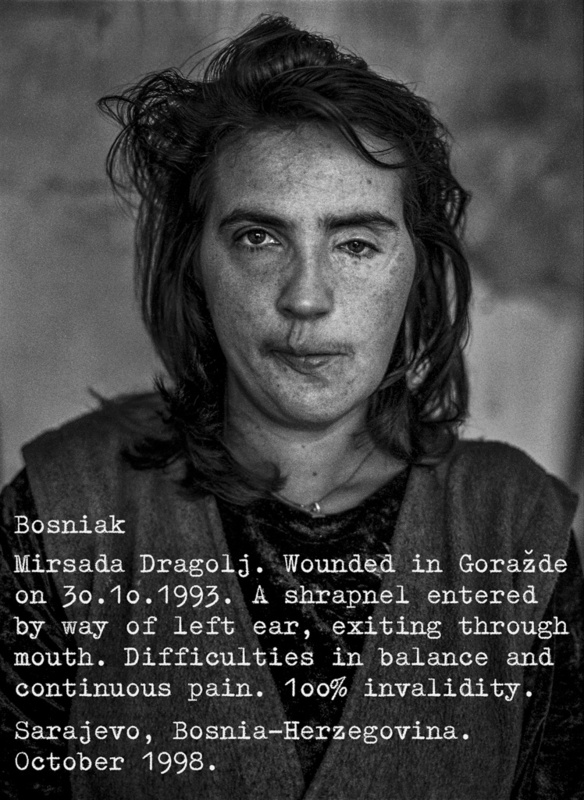 Later the war came to Sarajevo too, as it did to so many of the regions in the collapsing federal state. 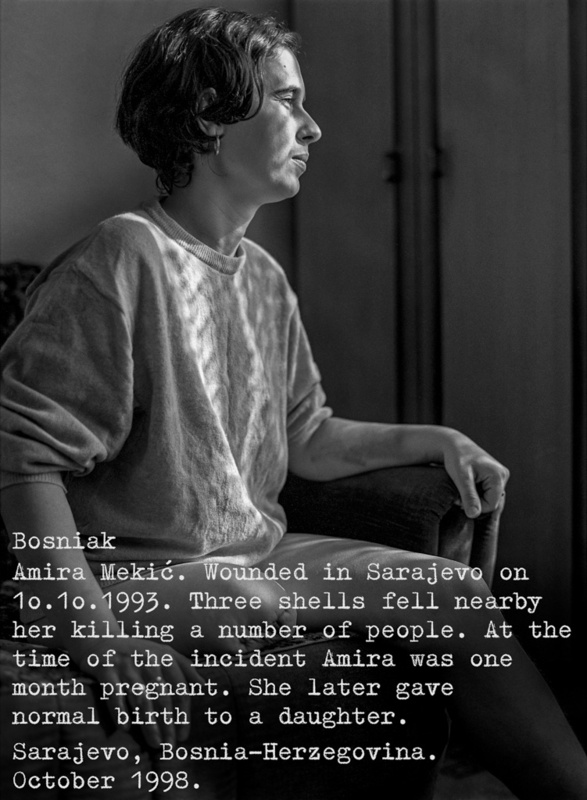 Many years of war have brought unspeakable misery to the Balkans: a quarter of a million dead, a countless number of wounded, industry and infrastructure destroyed and a population driven into exile. Impoverished economies and the unbridled corruption which govern them build visions of the future that are just as bleak as those economies which define them. 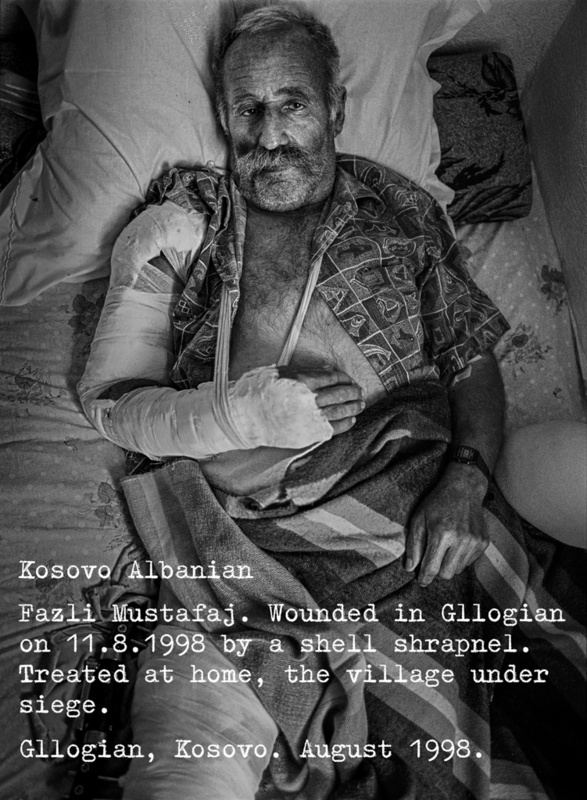 A society wounded by war does not easily rid itself of the blemish of war. I have examined all sides involved in the conflicts in the area previously known as Yugoslavia from the Croatia of 1992 until the Kosovo and Serbia of the present day. My subjects have been those injured both during the period of war and the time that followed. My view is simple. 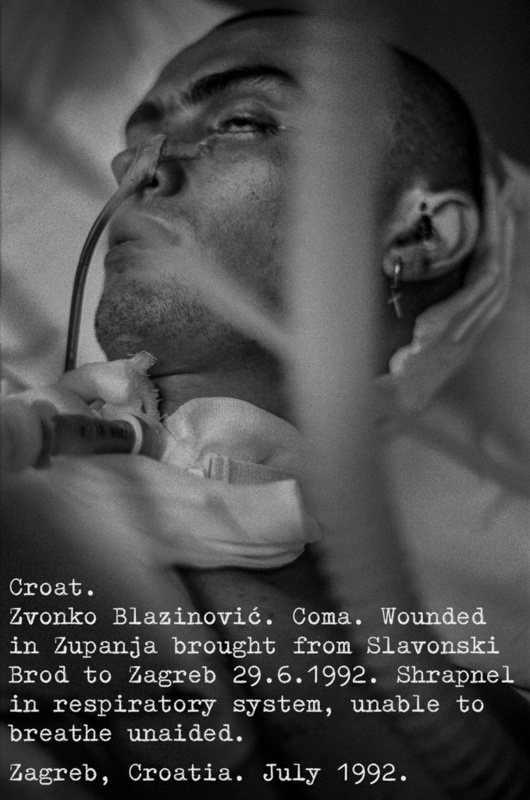 I have depicted the seriously wounded on all sides of the conflict, one of the inevitable results of war in which everyone is a loser; in these wars Serbs, Croatians, Bosnian Muslims and Kosova Albanians alike. The purpose of these pictures is to break through the thin shell which the words hide. 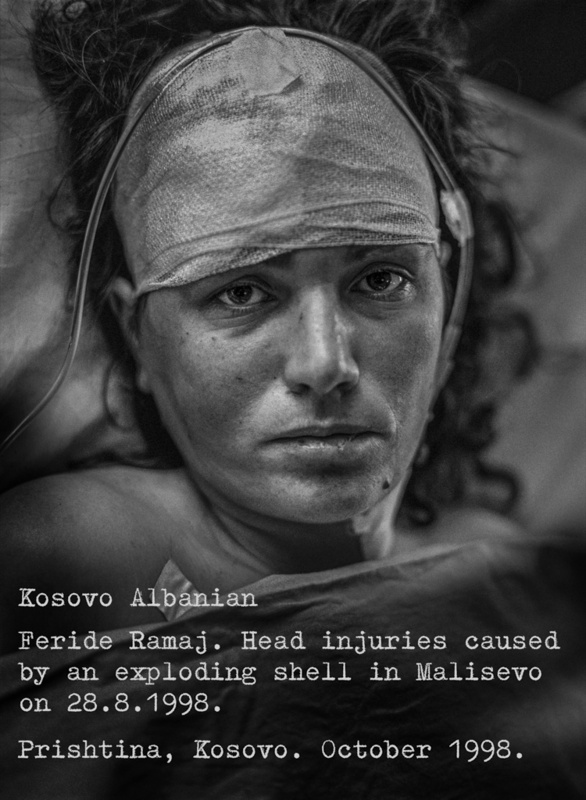 Rather than seeking reasons I am trying to reveal the consequences of war. 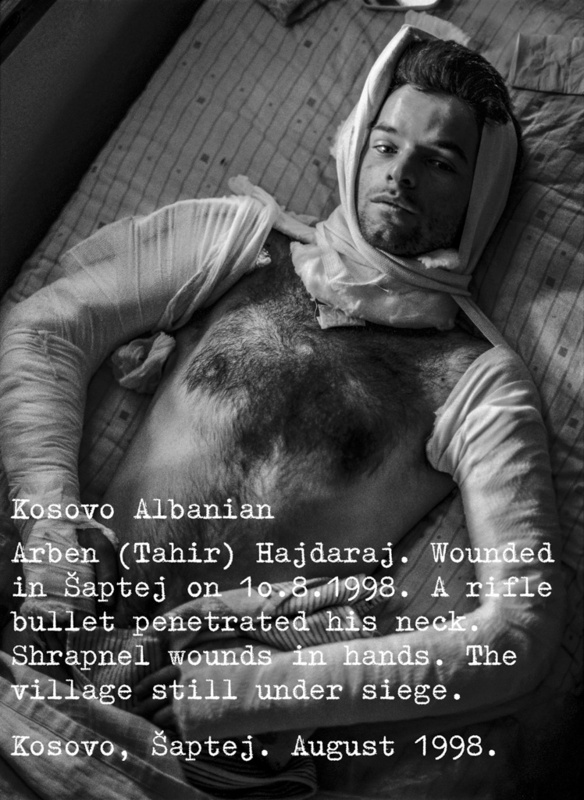 My pictures only give a slight indication of the horror story behind the politics of violence in the Balkans, the sum total of which is impossible to define. While attempts are made to translate the destruction wreaked on society into the language of economics, the suffering of the individual cannot be measured. These wounds were inflicted deliberately. They did not come about by accident but were premeditated. The end of the millennium does not mean the inevitable end of anything. Peace is not a permanent state even though it is championed as an aim when people speak. Only that history that has already been made is unchangeable. If good is passive and powerless, evil is the victor. Perpetuity exists now. It is the only moment we can affect.